Aaron and I headed to the S.A.R.T workstation in the morning to resume working on the robot. 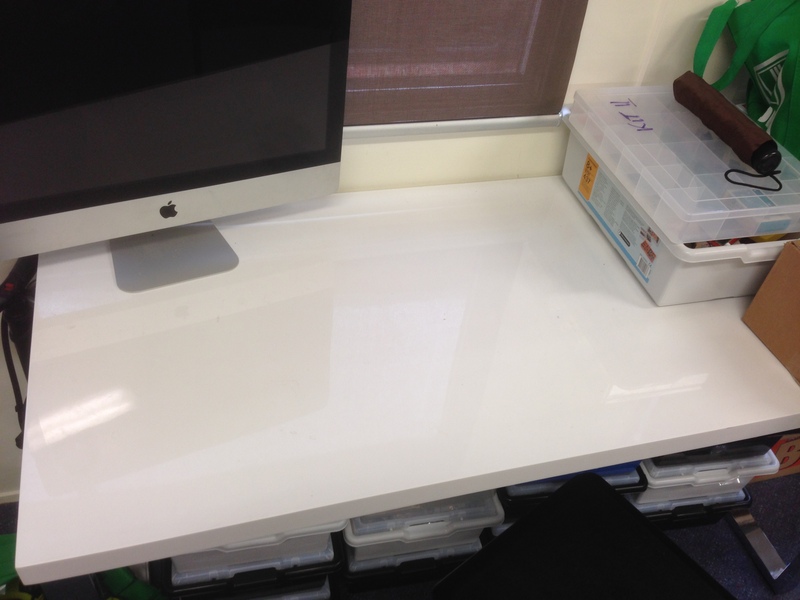 First, we cleared away half of a second desk to use as the building/tinkering station. 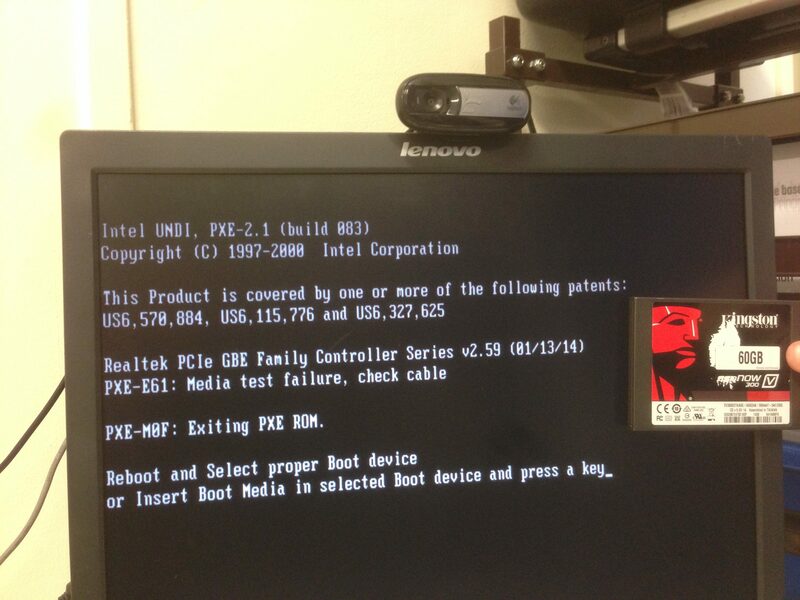 The tiny BreezeLite PC is no longer an option due to the Linux boot issues, so the team are now going to use the new Intel NUC. Unfortunately, it will require a creative solution for the batteries as it is far more power hungry than the BreezeLite. In order to cut down on size, Aaron and I started looking into booting from an SD card rather than booting from the NUC’s SSD. As a test, Aaron is creating a bootable 4GB Ubuntu SD card, however we’ll have to upgrade to something larger before we can do anything useful. We’re looking at anything upwards of 32GB. 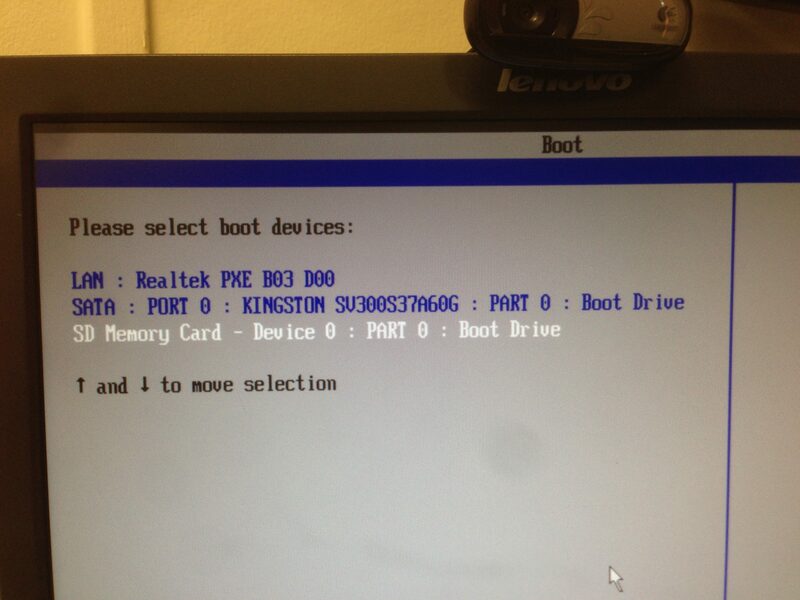 Unfortunately it seems that the NUC doesn’t want to boot from the SD card, so we’ll have to use the SSD. While this does mean that the robot is overall more expensive and slightly heavier/larger, booting from an SD card and running everything off that would be extremely slow, so we’re all kind of happy that this test failed.